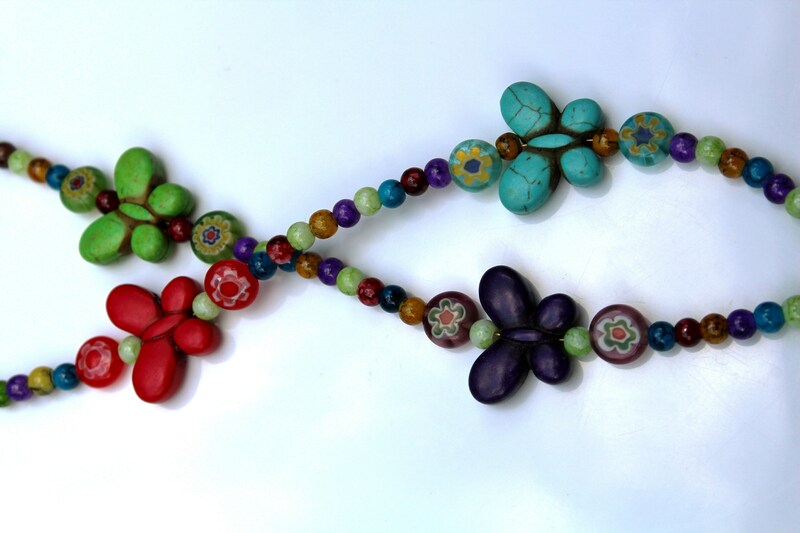 Fly on the wings of a butterfly, with this colorful, and full of life, eyeglass chain. The perfect gift for the butterfly lover in your life. 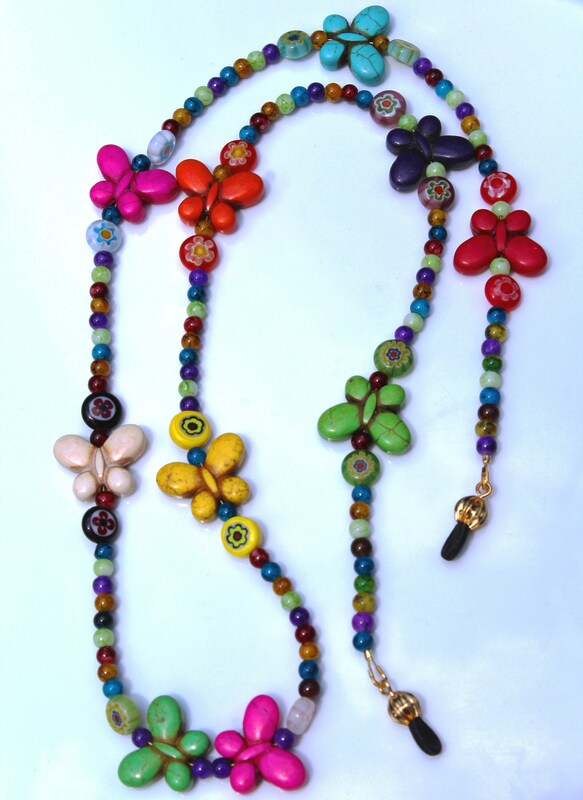 This chain contains a vast amount of colors and shades, so it's bound to match whatever you are wearing for the day! 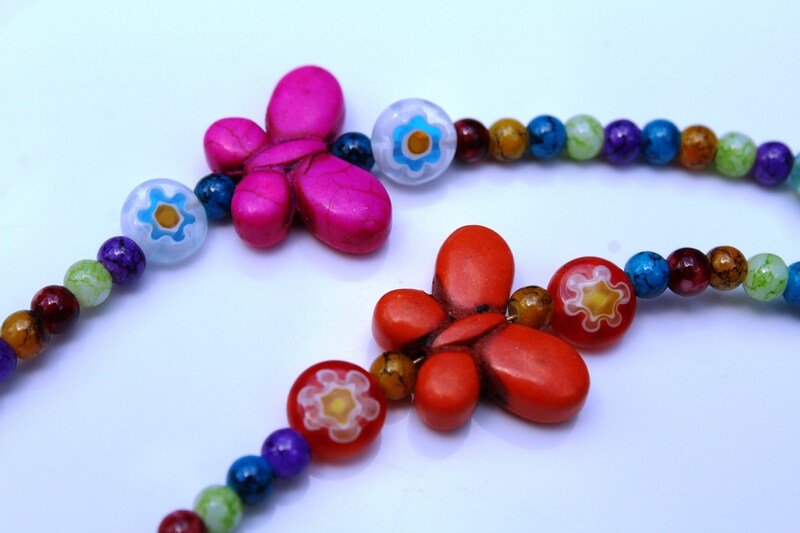 Butterfly beads are a very generous 3/4 of an inch wide by 1/2 of an inch tall. 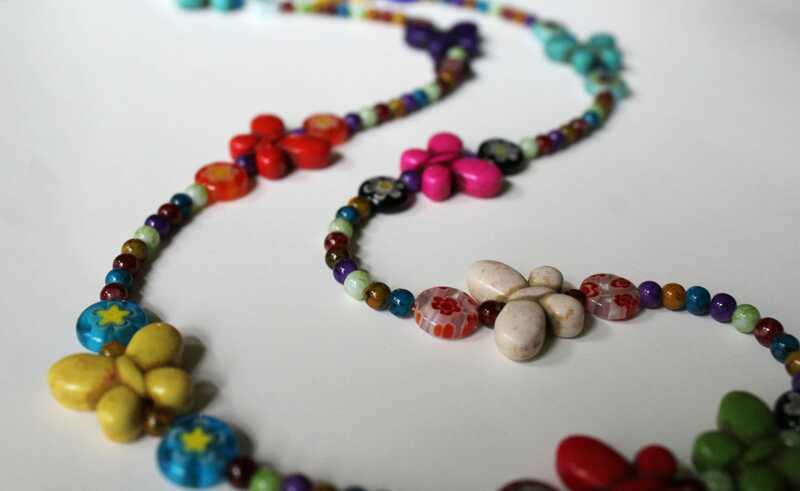 The entire eyeglass chain measures approximately 28 inches long. 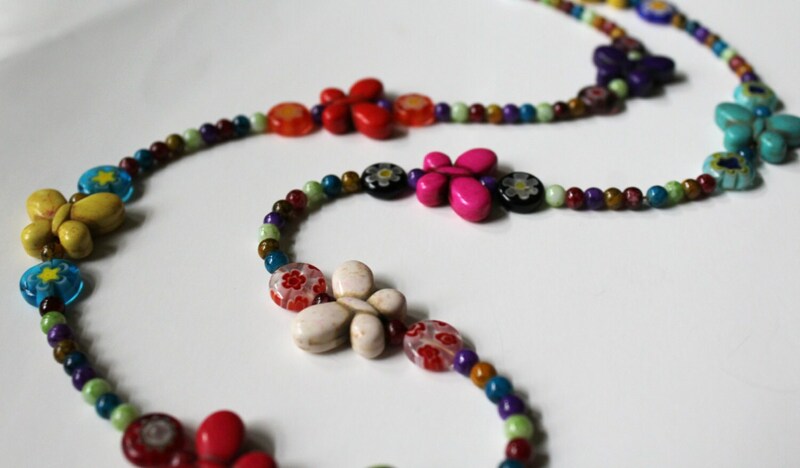 Please note: Exact bead colors and order may vary from chain to chain due to the nature of hand made beads and dyes. This eyeglass chain is an original design created and made by Michele of MichelesAManoDesigns. I love this eyeglass necklace. It is so cute and colorful. Very well made. Such a pretty piece, love it.